He obtained a PhD in image analysis from the Department of Computing at Imperial College London. He is an Honorary Lecturer at Imperial College London. 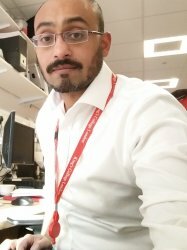 His major works include visualising atrial fibrosis in MRI datasets, algorithm evaluation for left atrial wall thickness and measuring myocardial infarction. He has also proposed 2D maps of the heart by reducing its 3D geometric dimensions into 2D for harmonising its different shape variations.